To do good work, you need good tools. Most of us think of tools as devices like hammers, crescent wrenches, and screwdrivers – things that are used in the construction of something else. 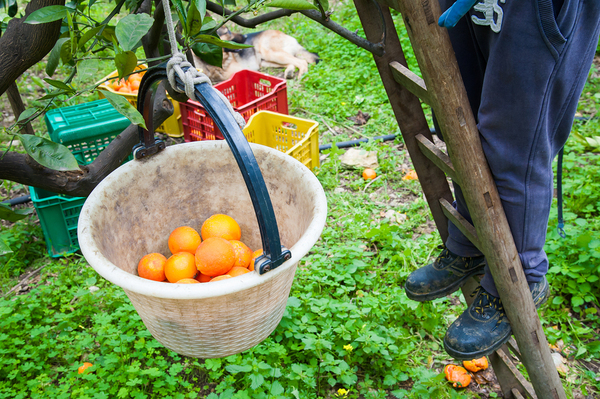 But tools are part of every endeavor, whether you’re building a house, harvesting fruit in an orchard, or building a strong and thriving business. Whatever your task, doing it well requires having the right tools. Tools are just as necessary in non-manual labor as they are in manual labor. If nothing else, a pen and some paper are tools used to map out thoughts and plans and write down insights. 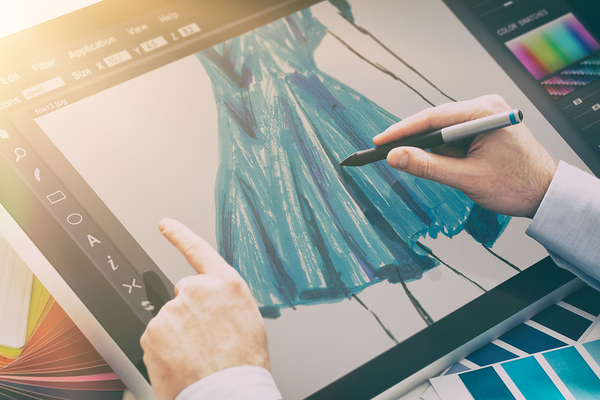 In business, we rely on our computers, printers, telecommunications equipment, and office machinery, all of which are tools of the trade. And when it comes to executive coaching, the phrase “You are only as good as the tools you use” is especially apt. Much of coaching involves what goes on in the mind, but that doesn’t mean tools are unnecessary. Coaching depends on great communication between coach and client, and not all of that can take place in person. Therefore, telecommunication tools are necessary to a strong coaching relationship. Coaching also involves assessing baseline skills and goals, mapping out plans for reaching goals, tracking progress toward goals, and evaluating success and lessons learned once the process is over. All of these processes involve the use of various kinds of executive coaching tools. Different coaches use different specific tools, but many of them are of the same type, e.g. 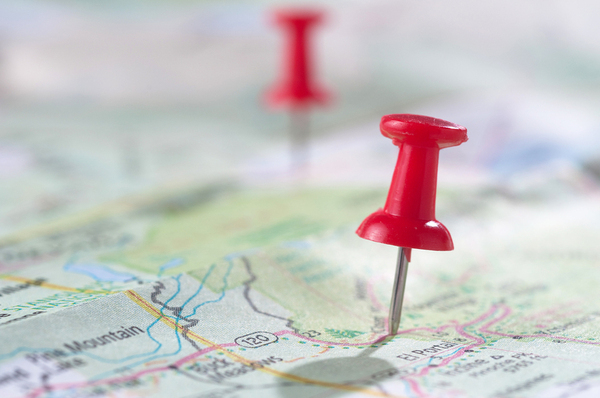 tools for assessing client strengths and weaknesses. This is your guide to executive coaching tools, their types, what they are designed to do, and specific examples of the tools used by renowned executive coach John Mattone. Client intake is the phase of executive coaching where the coach and client establish their relationship and develop a working partnership. During this phase of executive coaching, the coach must get to know the client in their business context so both partners can agree on what the coaching relationship will focus on. Most coaches come to the intake session with a set of business-oriented questions that will likely include some personality-related questions as a way to get to know the client they will be working with for the next several months. 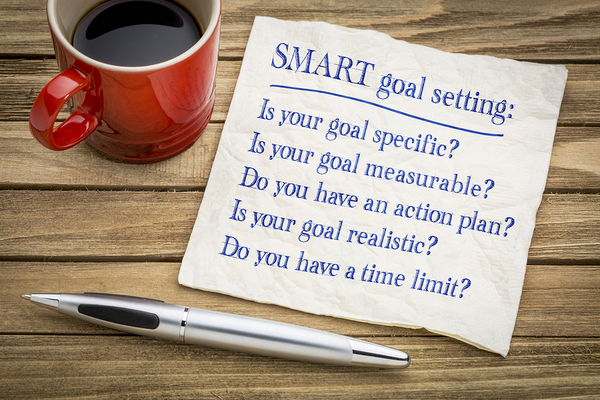 During intake, executive coaches often have clients complete some sort of goal sheet, because after all, what is coaching about if not about defining and achieving goals? Also during intake, both coach and client will read, discuss, and sign a confidentiality agreement. These vary from coach to coach but are meant to ensure that the client can be candid with their coach without fear of information being shared with others. It may include provisions for the coach using (with the client’s express permission) the client’s experience for future testimonial or marketing purposes. During the executive coaching process, both clients and coaches typically use a handful of selected tools to ensure that the process stays on track. This is not to say that once goals or processes are agreed upon that they can never change. Course-correction happens in coaching sometimes, once issues emerge as being of higher or lower priority. Certain executive coaching tools help clients stay on track between meetings with their coach. Coaching clients will tend to use tools offered by the coach that help them address their coaching goals. For example, if a client has difficulty prioritizing tasks, their coach may provide them with a prioritizing tool that makes it easy to separate more urgent from less urgent tasks and work on them in order of importance. These tools can also help develop more productive habits by, for example, setting out in advance which interruptions can be ignored for the time being and which must be addressed then and there. Action tracking tools can also be useful during the coaching process. 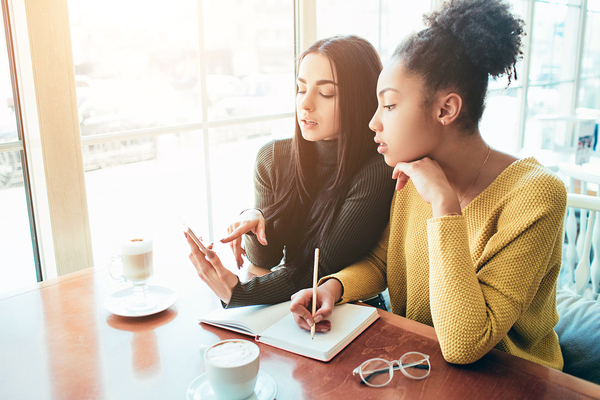 Not only can action tracking tools help coaching clients stay on track as far as reaching their goals, but they can also serve as a source of motivation and discipline from seeing how much progress they have already made. Some goals may be tracked daily, while others may be tracked less often. 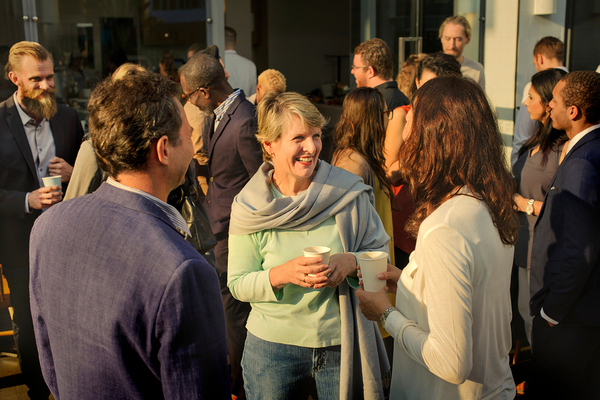 Coaches and clients typically use multiple tools for regularly interacting with each other. Communication may take place on a regular schedule via phone, email, live chat, video conference, or some combination of technologies. The executive coaching process comes to an end at some point, but that doesn’t mean the work is over and done with once and for all. Many coaches, in fact, build post-coaching follow-up into their service packages. We all know that skills can fall into disuse, and that old habits can creep back in if we’re not careful. That’s why many executive coaches have planned follow-up phone calls during the several months following the end of their formal coaching contract. Clients may be encouraged(or may choose on their own ) to continue using tools that worked for them during the active coaching period, like priority matrixes or action tracking tools. This is a smart idea, because once the habit is developed, it’s easier to maintain than it is to let the habit lapse and then try to start again later. The changes wrought during the coaching process are meant to be long term, and the coaching process itself helps people understand the importance of follow-through when it comes to achieving goals. But that doesn’t mean that people who have undergone executive coaching have reached some sort of competency nirvana where they no longer need productivity tools. John Mattone is one of the world’s most in-demand executive coaches as well as being a leadership speaker and best-selling author. He is considered one of the top three coaching authorities in the world and was awarded the Master Corporate Executive Coach (MCEC) certification from the Association of Corporate Executive Coaches. Mattone’s Intelligent Leadership was named one of the Top Advanced Leadership Development Programs that Change Lives in 2015, and he is the creator of the Intelligent Leadership (IL) Executive Coaching Process. In his decades as an executive coach, he has created a world-class blueprint for his unique coaching process, which includes several powerful executive coaching tools. 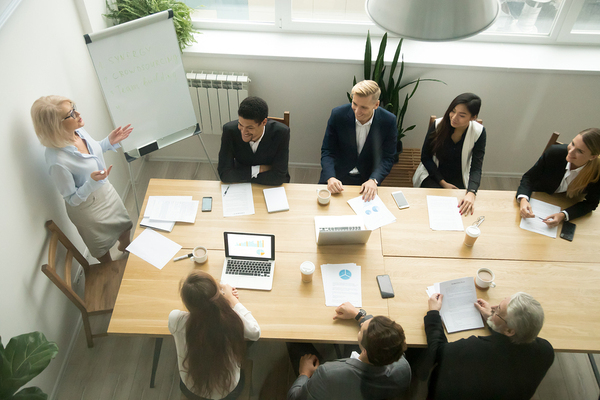 The Six-Step Individual Development Plan, the Strategic-Tactical Leadership Inventory (STLI), and the Mattone Leadership Enneagram Index (MLEI) are three of these executive coaching tools. The Six-Step Individual Development Plan is outlined in John Mattone’s book Powerful Executive Coaching. It is an assessment-driven individual development plan involving six key steps. 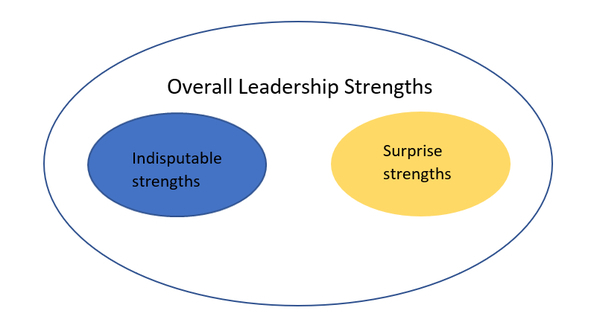 Leadership potential is based on strengths clients know they have and strengths they haven’t yet discovered. It is based on assessment data that identify indisputable strengths, surprise strengths, indisputable development needs, and surprise development needs, which form the foundation for goal-setting and identification of action steps. Here are the six steps in the plan. Step 1: Analyze Your Job. This is the step in which clients identify the several competencies, skills, interpersonal qualities, and internal attributes required for success. After listing these, clients must describe what they think is the most important for each area. Step 2: Review Perception-Based Assessments. In this step, the client reviews results of assessments by peers, managers, and direct reports to learn what those assessments reveal about strengths and opportunities for improvement. Step 3: Review Objective-Based Assessments. This step is a review of objective assessments, such as skill-based simulations, the MBTI, and others followed by identification of strengths and opportunities for improvement based on these assessments. Step 4: Data Integration. In this step, data from objective assessments are compared and contrasted with data from subjective and self-assessments in terms of indisputable and surprise strengths, and indisputable and surprise development opportunities. Step 5: Data Integration Summary. Here, the client identifies the two strengths and development opportunities they believe to be the most important to success, to arrive at one strength and development opportunity each for intrapersonal attitudes, interpersonal qualities, and competencies. Step 6 Development Planning. In this step, the client and coach work together to create an individual development plan, complete with development goals in the four key categories of indisputable strengths, surprise strengths, indisputable development needs, and surprise development needs. Some development opportunities are obvious, others, less so. With this information, it is possible to define the action steps for effective coaching. Those action steps may include on-the-job development, training courses, leadership coaching programs, and emphasis on “high-development” practices (such as increasing decision-making authority or launching a new project). John Mattone’s Strategic-Tactical Leadership Index (STLI) is an assessment tool that determines a client’s current performance on nine key competencies. It is detailed in his book Intelligent Leadership: What You Need to Know to Unlock Your Full Potential and Powerful Executive Coaching. The STLI is designed to isolate a client’s most effective competencies as well as competencies that need to be developed further. The STLI can also be used as a “multi-rater” tool to obtain feedback from employees, peers, managers, and other stakeholders. This is recommended because it offers a more complete picture of the client than the STLI used as a self-assessment alone. The STLI addresses the following nine key competencies. Strategic Thinking – how well the client knows the business environment and their organization, and how competent they are at developing a realistic vision that engages and inspires others while aligning actions with the organization’s mission and goals. Drive for Results – how decisive the client is in thought and action, how well they set achievable, but ambitious goals rather than “settling,” and how well they maintain discipline when disruptions detract from key objectives. Coaching is about learning to envision, define, work toward, and accomplish leadership goals. The Mattone Leadership Enneagram Index (MLEI) is an executive coaching tool for identifying predominant leadership styles as well as levels of maturity in individuals. The person completing the MLEI indicates how strongly they agree or disagree with a targeted series of statements. The nine leadership types assessed by the MLEI reveal the full range of the client’s leadership assets and liabilities. Although the MLEI will indicate a predominant leadership type, it also reveals several subtypes. The goal of taking the MLEI is to use the information it produces to optimize the maturity of the predominant leadership trait while creating development goals and strategies to produce maturity in the other key leadership traits. No single leadership trait is better than the others, because people lead in different ways. 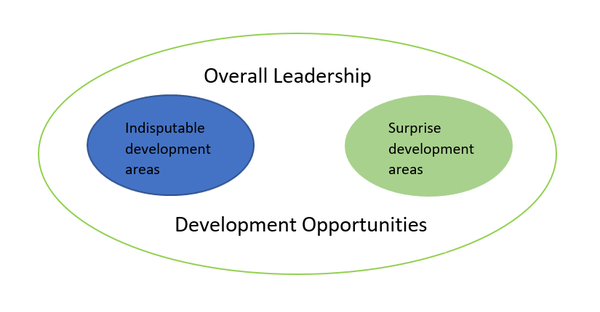 The most evidenced leadership traits represent areas of leadership potential that are already activated, whereas the least evidenced (lowest scoring) leadership traits represent areas that can be developed and brought out through executive coaching. A total of nine leadership styles are grouped into three categories: Heart Leaders, Head Leaders, and Gut Leaders, as you can see in the following table. The MLEI does not indicate “fixed” traits, and if a client takes it multiple times, such as at the beginning, and again at the end of the coaching process, scores for all but the most predominant trait may fluctuate. The most accomplished coaches take their executive coaching tools very seriously because they rely on them to understand their clients, create strategies, and measure progress. Coaching clients should take these executive coaching tools seriously as well because they serve a crucial function: ensuring the best positive results from the coaching relationship. The tools used at the beginning of the coaching relationship are often related to baseline assessments. They may assess personality traits, work styles, and attitudes. These assessments help drive use of other tools, such as goal-setting tools so that both coach and client understand the goals that the coaching relationship will work toward. During coaching, monitoring, tracking, and documentation tools are frequently used. They’re designed to ensure that the client stays on track and makes progress. Telecommunication tools are most heavily used during the active coaching process so that coach and client can stay up to date on progress and challenges. When the coaching term ends, the client may re-take certain assessments or may take new assessments to gauge how far they have come. Some executive coaches leave their clients with tools they can use to ensure that their hard work continues to pay off. Coaches often leave their clients with special tools they can use to ensure continued growth and success. If you want to learn more about executive coaching tools, consider reading John Mattone’s books, especially Intelligent Leadership: What You Need to Know to Unlock Your Full Potential and Powerful Executive Coaching. Many companies invest in executive coaching because they’ve tried it and they know that it produces positive results and a genuine return on investment. Companies that invest in coaching are actually investing in results. Some companies may be reticent to trying executive business coaching for fear that the investment won’t pay off. Plus, how do you measure whether coaching has been successful? Top coaches regularly field questions about this. After all, coaching isn’t cheap, and measuring the ROI on executive business coaching isn’t as straightforward as measuring ROI on a new television ad campaign. Ideally, coaching clients should be prepared to use a well-rounded collection of metrics, both qualitative and quantitative, to measure coaching success and show the company that yes, executive business coaching does get positive results. Here are some ways clients do that. Before investing in executive business coaching, how long did it take for something to go from being an idea to being a product in the hands of end-users? That “product,” of course, could be a physical product, or it could be an app, a new business process, software, or some other manifestation of an idea. Similarly, how long does it take now that the coaching process has been completed for something to go from being an idea to being something people use? One of the purposes of coaching is for leaders to learn where roadblocks exist, which ones are absolutely necessary (to keep spending in line, for example), which ones could be eliminated altogether, and which ones could be recast as “speed bumps” rather than hard roadblocks. Many coaches begin and end their coaching relationships by using surveys and other instruments to gather 360-degree feedback about the coaching client. In some cases, this feedback comes not only from the coaching client individually, but also from peers, direct reports, and supervisors in order to gain a comprehensive view of the client’s starting point. Repeating use of these feedback tools at the end of the coaching relationship can be eye-opening. Often, they show that the changes that have taken place not only positively affect the client, but also the others who work with the client on a daily basis. 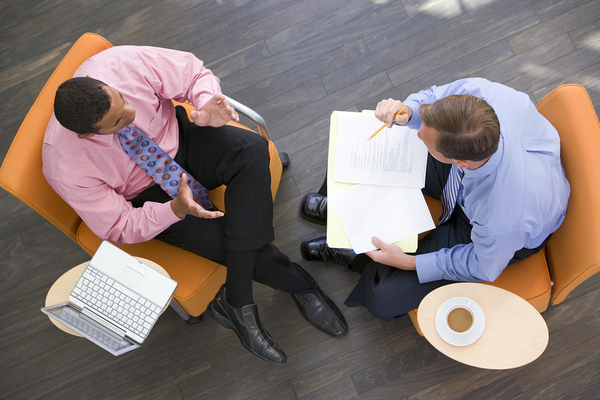 Interviewing a client’s peers, direct reports, and superiors before and after coaching can offer powerful insights. Journals aren’t as neat and easy to take in a test or survey results, but they can nonetheless provide an important metric for the success of executive business coaching. That’s why many coaches ask that their clients keep a regular journal, whether on paper or electronically. It doesn’t have to be a novel. Committing to ten minutes every day of thinking about how the coaching process is shaping their decisions can end up providing a wealth of information and a powerful indicator of how far a coaching client has come. Anyone who regularly keeps a journal can vouch that looking back at entries from several weeks or months ago can be a powerful way of seeing just how much things change. Productivity measures before and after coaching can offer strong evidence of the power of executive business coaching. Coaching is about solving problems, and even if those problems aren’t directly related to productivity, they can affect productivity. If the pre-coaching team puts out five products over a period of a week and the post-coaching team puts out seven products in a week, that’s a strong indication that coaching has had a measurable positive effect, assuming everything else was held constant. It’s important to measure outcomes with coaching, both for the benefit of the client and for the benefit of the coach. Today’s executive coaches are expected to produce results. The best ones know this, and they’re prepared before their first meeting with their client. No company wants to waste time or money, and so they’re smart to consider how they will measure the effect of executive business coaching even before they choose a coach. To learn more about how coaching works in practice, I invite you to check out more about my coaching services. The public sector doesn’t respond to the same stakeholders that private businesses do. Stakeholders in the public sector are the community at large, rather than business owners or shareholders. Stakeholders of every kind want strong performance from the organizations in which they’re invested. So simply stating that every public sector entity should be “run like a business” oversimplifies the situation. But that doesn’t mean that public entities have nothing to learn from business. 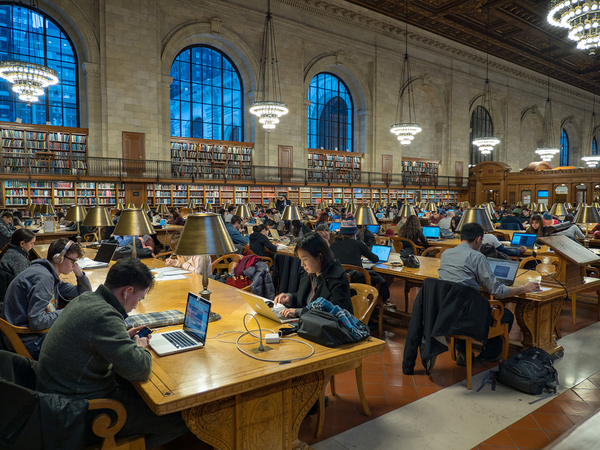 If nothing else, responding to demands as businesses must do, and employing the technology and leadership to make that happen make sense for libraries, public hospitals, and other government organizations. Executive coaching, too, has a place in the public sector. The stakeholders may be different, but the need for strong leadership is just as evident in the public sector as in the private sector. Making the case for executive coaching may be more difficult for public entities, but an increasing number of case studies demonstrate that executive coaching can have positive effects throughout a public organization. 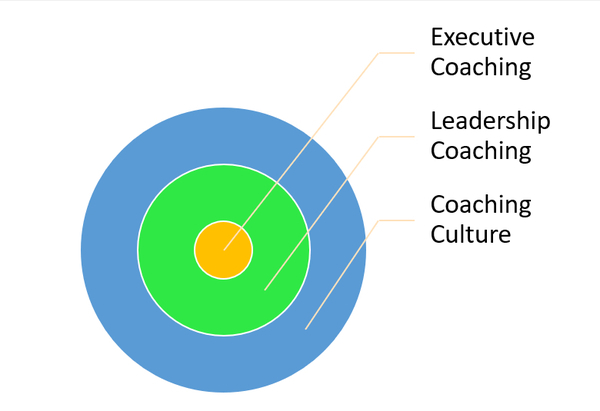 Effective leaders understand the importance of a “coaching culture” throughout their organization because it helps solidify skills, build confidence, and engage employees effectively. A McKinsey survey found that respondents in the public sector were likely to disagree with the statement that “managers are effective at coaching employees.” Could they benefit from coaching? Absolutely. One European public sector service agency addressed this issue by establishing a leadership coaching module with step-by-step guidelines on specific tasks. For example, the module taught how to conduct successful performance dialogues and offered hands-on role-playing activities to solidify skills learned. Performance of projects led by those who participated in the leadership coaching modules improved significantly compared to the performance of projects led by others. A public hospital in Queenstown, South Africa initiated a four-month project offering mentoring and coaching workshops and emphasizing the importance of mentoring and coaching in the organization. In a post-project survey, respondents unanimously agreed that the program was beneficial, and that mentoring and coaching improved performance and had far-reaching positive effects on the organization as a whole. The coaching culture benefits public sector organizations just as much as private sector organizations. Public sector organizations are budget-driven rather than profit-driven, so they respond to different pressures than business enterprises do. But skills for success are just as necessary in the public sector. 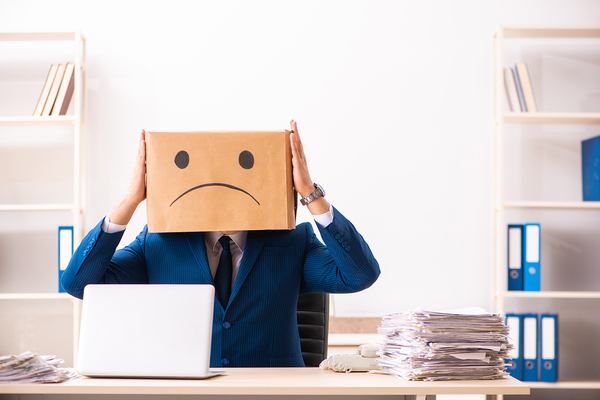 Public entities can suffer just as significantly from disengaged employees, incompetent leadership, and poor morale as private enterprises do. Developing the leadership skills to effectively engage employees, achieve goals, and promote the organization’s mission makes sense for organizations in the public sector, and executive coaching can be an outstanding way for public sector leaders to do this. Women in the public sector advance into leadership roles more easily than they do in the private sector. The reasons behind this are complex, but one key issue is a relative lack of female mentors and guides in the public sector. 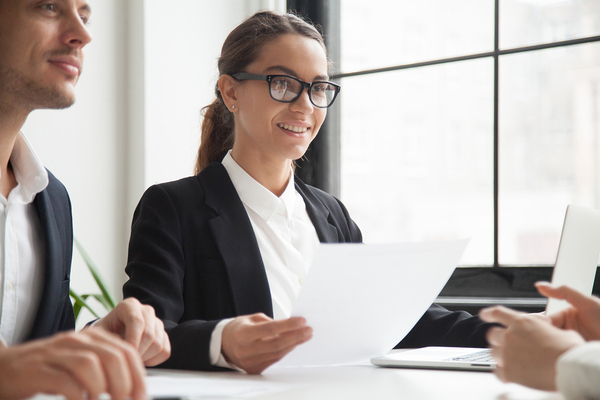 Executive coaching of women in the public sector can be a tremendously valuable way to assist these leaders in fully developing their skills and supporting them in their missions. And for female executives in the public sector who later take private sector jobs, the benefits of executive coaching are bound to carry over, benefiting those private enterprises as well. Budgeting for executive coaching in the public sector is not as easy as it is in private enterprises, because the public wants every tax dollar to be spent to its best advantage. It may not be easy to convince public stakeholders that executive coaching is a good investment, but studies are showing that it is. 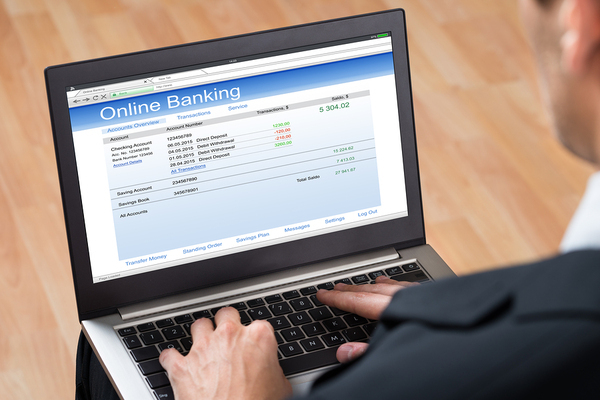 For public institutions that don’t have access to the funds for one-on-one executive coaching, projects where online coaching modules are used show promise. After all, the skills for success in private enterprise – confidence, self-awareness, and outstanding skills – are essential to the success of public sector entities too. Whether you work in the public or private sector, I invite you to check out my books as well as well as my speaking and leadership training services. The importance of strong leadership and outstanding culture is universal, whether you’re serving shareholders or an entire community. The concept of coaching can be considered from countless different angles, and what the process actually involves may vary significantly from case to case. Whatever the context, coaching is about helping people improve their performance. and many more. And yet, none of those terms is exactly synonymous with coaching. If you’ve ever witnessed a good coach in action, you have probably seen many of those verbs being demonstrated. Coaches may educate as to why the team uses the shotgun formation, or they may prepare by sharing statistics about an opposing team. 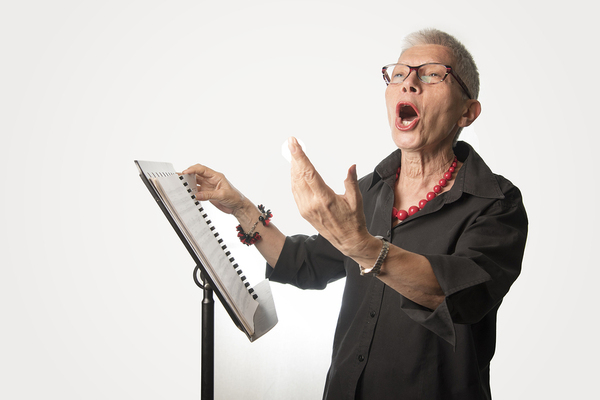 A coach may help train her client to access or strengthen parts of her vocal register, or mentor someone younger so they’re better prepared for challenges. Coaching in business is analogous to coaching in sports, music, dialect, or other endeavors, in that it involves a custom blend of techniques and exercises that are ultimately designed to improve performance in ways that can be measured. The very popularity of the concept of coaching, unfortunately, has led to people offering executive coaching services despite lack of experience, because many businesses are hungry for the important services coaches provide. 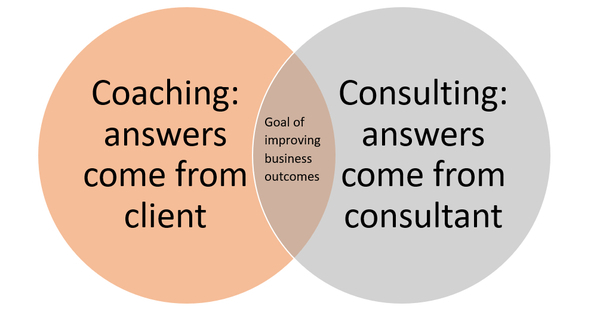 It’s important to understand how coaching in business works, and also how it doesn’t work. If you trace the history of the term “coaching,” you find that it, naturally, comes from the word “coach,” which originally referred to the kind of four-wheeled, covered carriage designed to get people from point A to point B. Modern coaching, in many ways, is a type of conveyance, because it is designed to help clients get from where they are now to a place where they perform better. Use of the term “coach” in the sense of an “instructor” or “trainer” dates to the early 19th century when it was a slang term used by Oxford University students who worked with private tutors. Coaching as a sports term dates to around 1860. So you see, “coaching,” though we tend to think of it primarily in athletic contexts, actually started out in an academic context, so it’s not that big a stretch to think of coaching as being absolutely fitting in a business context. It wasn’t until the 1970s, however, that companies in the United States began to realize the amazing potential of coaching in business, because of its combination of one-on-one conversation and its focus on measurable performance. The coach-client relationship is more egalitarian than the teacher-pupil relationship. 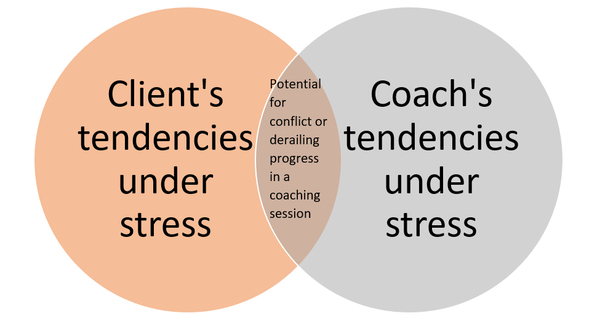 Solution and goal-attainment are the goals in both the coach-client relationship and the teacher-pupil relationship, but how those goals are achieved differ. The executive or corporate leader doesn’t need to be trained in how to do their job, but quite often they could benefit from learning new and different ways to perform better, deal with challenges, and help the organization as a whole work better. Coaching is designed to use positive resources like optimism and resilience. 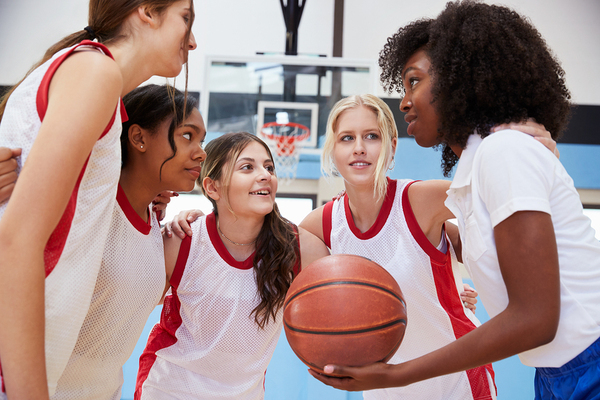 If you ever had a great coach when playing sports as a child, you probably remember that coach because of their gift for simultaneous correction and encouragement. A great coach will show you not only how to hold the bat correctly, but why you’ll get better results that way. And then when you get that first strong hit using your newly learned technique, your coach will be the first one to cheer you on. The same is true with coaching in business. Coaches aren’t there to coddle executives, but to help them recognize gaps in their performance, develop ways to bridge those gaps, and offer encouragement when new and effective techniques are learned and demonstrated. 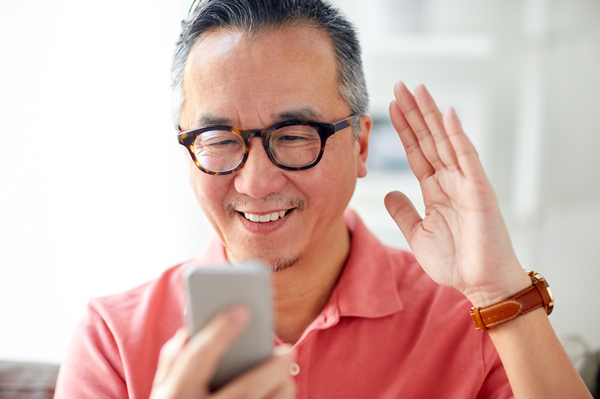 After an initial intake session, coaching interactions may take place in person, or by other communication means like phone calls or video chat. Assuming a coach has been employed based on their qualifications and “good fit” with the client, the process typically starts out with an “intake” session where coach and client get to know each other. For the coach, this often means using various standardized assessments designed to elicit information critical to defining strengths and weaknesses and setting reasonable goals. While the intake meeting may be similar for most of a coach’s clients, the subsequent coaching sessions are more personalized. Why would a CEO, someone at the pinnacle of an organization, need a coach? For the same reason that Usain Bolt, the fastest man in the world, needs a coach: to maintain form and continue peak performance over the long term. Likewise, other senior executives, who may act with a great deal of autonomy, benefit from coaching as well. Coaches help executives recognize their blind spots, and the invisible barriers they may have built around themselves as they climbed the corporate ladder. Psychological blind spots may soothe the ego, but they’re otherwise detrimental in the long term. Coaches act dispassionately, and this can be eye-opening for a top executive who is used to having their every opinion rubber-stamped by others. The value of an unbiased perspective cannot be overemphasized when it comes to corporate leadership. Consequently, a coach is often willing to ask questions that others wouldn’t feel they had the authority to ask. Because a strong coaching relationship is egalitarian, the coach has the opportunity to relate to an executive on a level that no one else does, and this can open up an entirely new perspective for the client. It’s not uncommon for businesses to engage coaches to work with non-executive leaders, and there are many reasons for this. The main reason is that coaching improves performance, and why wouldn’t a business want all leaders to perform at peak levels? Another reason non-executive leaders work with coaches is that top leadership is committed to strong leadership succession. Eventually, executives retire or move on, and having a strong “bench” of potential executives makes these transitions less disruptive. Also, depending on the company size and structure, non-executive leaders, such as department heads, may have significant autonomy and significant influence over day-to-day operations as well as results like productivity and profitability. In those cases, it only makes sense that the leaders entrusted with presiding over departments or key teams have all the skills and resources they need at their disposal, so they can generate peak performance from their departments or teams. Coaching culture as exemplified and encouraged by those at top levels of the organization ripples outward throughout the organization. Most companies don’t have the resources to engage coaches for all their personnel in leadership positions, but that doesn’t mean that coaching in business is reserved solely for those at the very top of the organizational chart. The value of a coaching culture at every level of business has been demonstrated repeatedly. Coaching-based leadership makes sense not only for the CEO or the vice president for financial operations, but also for the administrative team leader, the head line cook, and the leader of the facilities management team. The fact is, “traditional” leadership, which is often based on control and correction, may work well in the short term, but falls short over time. Coaching-based leadership is based on asking questions that spark insight, listening, and re-framing challenges as opportunities. This approach to leadership works whether you’re getting a team ready to orchestrate a merger, directing a group of summer interns, or heading the team in charge of implementing new accounting software. Businesses that hire executive coaches can calculate a simple benefits/cost ratio, dividing monetary benefits by the cost of the coaching. They can also calculate a return on coaching investment. Net benefits from coaching are the monetary benefits minus the coaching cost. Dividing the net benefits (earnings) by coaching cost (investment) and multiplying by 100 gives you an ROI percentage. Another hard number that companies focus upon when engaging executive coaches is turnover (at all levels of the company). 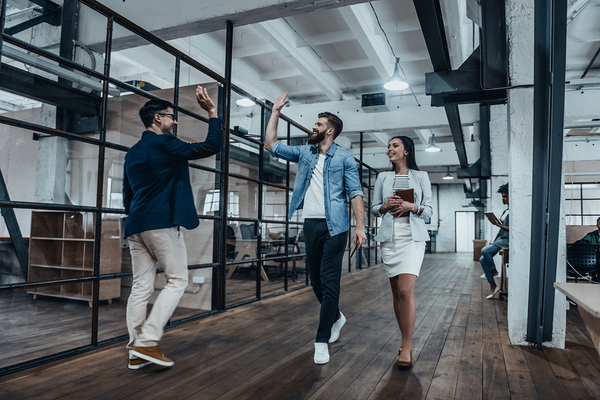 Employee turnover is expensive, and preventing the exodus of just a handful of professionals by improving operations and job satisfaction through coaching can more than offset coaching costs. Due diligence in finding a good coach requires research, following up on recommendations, and confirming a candidate coach’s experience and qualifications. Assuming the person designated to work with the coach is a ready and willing participant, the first step to finding the right coach is to look for someone with experience in coaching someone of that level – preferably in a similar industry. Choosing a coach with a clear methodology is paramount. There is no single credential that indicates someone is an effective coach the way, say, someone with “M.D.” after their name is known to have completed medical school and passed various competency exams. But coaching credentials and accreditation of coach training programs exist. The International Coach Federation (ICF) is a current “gold standard” for executive coaching. 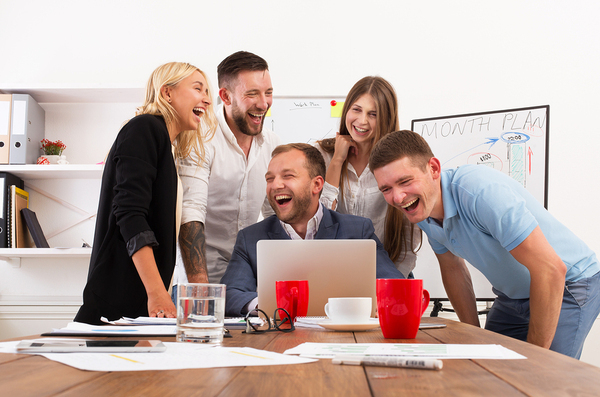 ICF-certified coaches are required to pursue rigorous education and practice standards before earning the credential, and this can help organizations separate effective, committed coaches from those who take coaching less seriously. Furthermore, coach training programs can gain accreditation by the ICF, assuring coach trainees that programs have high standards and deliver the training that aspiring coaches need. 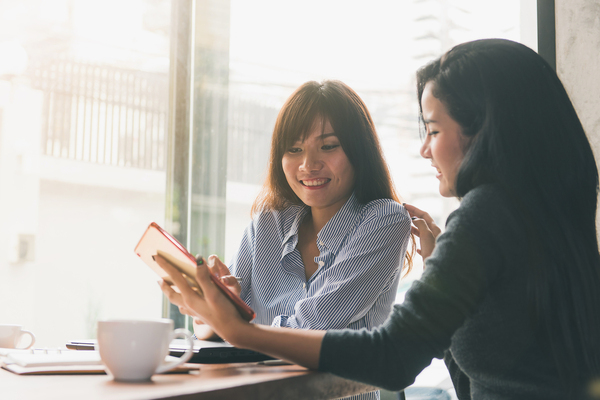 Word-of-mouth recommendations are immensely valuable when it comes to coaches, and following up with references from candidate coaches is extremely important for businesses to ensure their resources are being spent wisely. Good rapport, or “fit” between coach and client is essential to getting good results. The fact is, a coach may have sterling credentials, extensive experience, and glowing references, yet still be wrong for a particular client, even if the client is willing and motivated about being coached. It can be dangerous to assign a coach to a client without the two having at least had a conversation about it. A client should feel inspired and confident from speaking with a coach. They should believe the coach is listening to them and truly considering what is said. Both coach and client should feel comfortable speaking honestly with each other, and each should understand the egalitarian relationship between coach and client. While both coach and client will take the lead at certain points during the term in which they work together, each should understand the other’s value and viewpoint at all times. Clients and coaches who never feel as if they’re on the same page will have a hard time making progress. Likewise, clients and coaches who are too much alike risk complacency and simple validation, rather than genuinely uncovering goals and opportunities and working toward them. 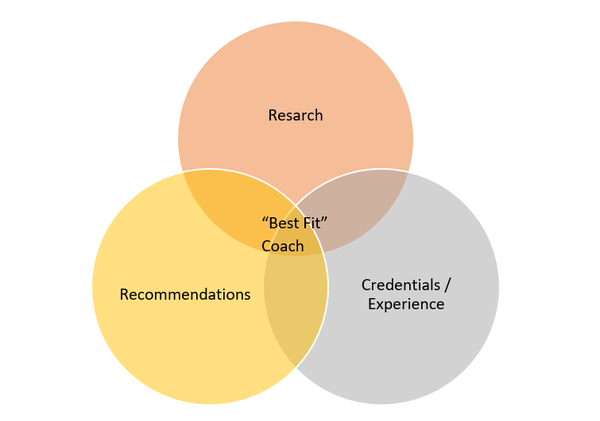 Ideally, a coaching client should talk to multiple coaches before choosing the one that represents the best fit for the process. Companies that have never used coaching before will have to make a business case for it. This may start through a conversation among leaders, or with one leader researching coaching in business and learning how it works and how businesses benefit. It’s not uncommon for businesses to experience pushback when they first bring up the idea of coaching. Some leaders may feel insulted, believing that hiring a coach indicates that they’re not performing well. Overcoming this type of resistance may be the most challenging aspect of implementing coaching for the first time. It may end up that the person broaching the idea of bringing in coaches volunteers to be the first coaching client. This can help dispel the notion of coaching as “remedial” and help bring others on board with the idea. Any first-time coaching experience for a company should be thoroughly documented from beginning to end, not only so that others may learn what coaching really is about, but also to facilitate “lessons learned” and to make the next coaching engagement even better. The person who initiates the idea of coaching may need to be willing to “go first” to gain buy-in from other leaders. For coaching to gain traction in a business that has never used coaching before, leaders must understand that the old days of bringing in a coach to try to salvage a bad job appointment are long over with. There may have been a time when coaching in business was used to attempt remediation, but it didn’t take businesses long to realize that it’s not an effective use of coaching. Today, coaching in business is similar to coaching at the top levels of sport, or music: it’s designed to take the already highly competent to even greater levels of performance. Coaching in business is no longer the rare exception, but is increasingly expected for CEOs, top executives, and other critical leadership positions. Coaching isn’t about teaching someone how to do their job – it’s assumed the client already knows that. It’s about making a leader’s inherent strengths stronger, and about recognizing where there’s opportunity for improvement and setting about making those improvements. In an ideal world, everyone in a position of leadership would have the coaching they need, but it is entirely possible for a company to invest in coaching for top leadership and use the lessons learned as a way to bring coaching culture to all levels of the company. In my career, I have consulted for more than 250 organizations and personally coached more than 200 executives. I have also been honored to receive many coaching and leadership training awards. The reason I’m so passionate about coaching in business is that I’ve personally seen what it can accomplish. I invite you to learn more about my own coaching services, and to explore the many free coaching and corporate culture resources available on my website. You might consider checking out my books to learn more as well.